Cream and black net and crepe designer lehenga saree is enhanced with exclusive work of resham embroidery along with zari, stone and fanciful lace border work adds opulence. It Included with matching blouse. 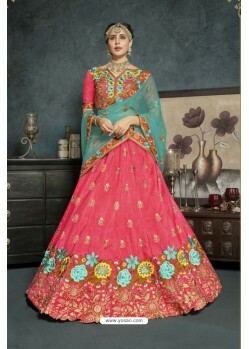 Its a pretty Net, Faux Crepe saree for wear on Festival and Reception. Net, Faux Crepe Fabric and Black, Cream color embroidery and Zari used to make this stylish Saree.